I’ll be the first to admit that summer squash doesn’t often send me, so I wasn’t exactly jumping for joy at the prospect of trying this Summer Squash Carpaccio, but to my surprise, it actually really worked for me. 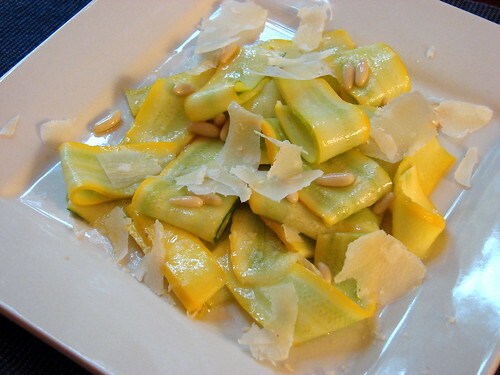 It’s an extremely simple dish, ribbons of summer squash dressed with a drizzle of olive oil and a spritz of lemon juice, tossed with freshly grated parm and toasted pine nuts – just five simple ingredients, but they come together in perfect harmony. It’s particularly nice when you get a bite of everything together – the flavors and textures play really well together, with crunch and a slight bitterness from the pine nuts, the salty, pebbly parmesan, and the perky lemon dressing all jazzing up the mild, tender squash. 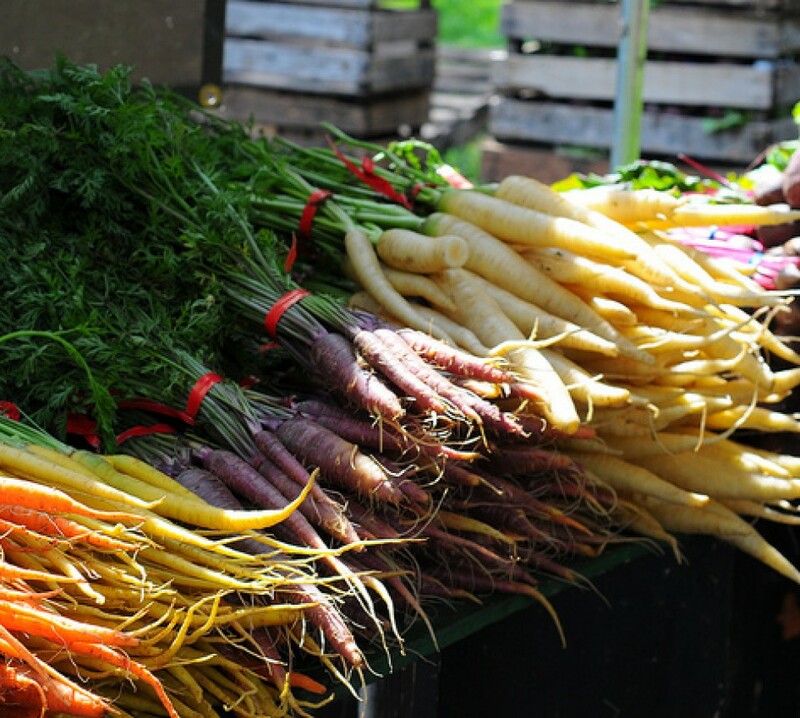 Sounds delicious and looks so pretty and vibrant on the plate too. Looks super. 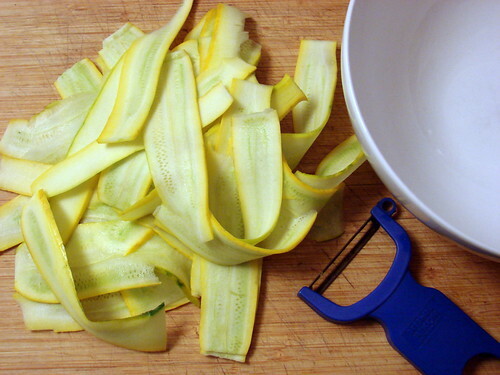 Squash is one of my favorite vegetables – I eat at least a squash a week. I have so much squash! I’ve been doing a thousand different things with them. But, I haven’t seen something like this! I think I’ll try this tomorrow. Looks wonderful!